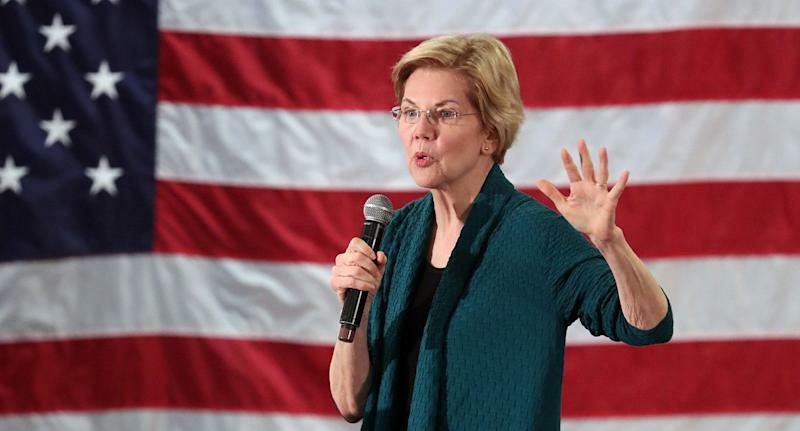 Democratic presidential candidate Sen. Elizabeth Warren, D-Mass., called for ending the Electoral College during a town hall Monday night. Warren was taking questions in Jackson, Miss., on CNN when an audience member asked her about voter disenfranchisement. The senator proposed a constitutional amendment that would ensure the right to vote for every American citizen, rolling back voter suppression laws at the state level, and essentially restoring the Voting Rights Act, which the Supreme Court gutted in 2013. She then moved onto discussing the Electoral College. Warren’s response received an extended ovation in the room. South Bend, Ind., Mayor Pete Buttigieg, another Democrat running in the presidential primary, in January called for the elimination of the Electoral College. “We’ve got to repair our democracy. The Electoral College needs to go, because it’s made our society less and less democratic," Buttigieg said during an interview with CBS News. Democrats have floated the idea of abolishing the Electoral College in the wake of the 2016 election, where Hillary Clinton received nearly three million more votes than Donald Trump but lost the Electoral College. In 2000, Al Gore received over 500,000 more votes than George W. Bush but also failed to win the presidency. A number of traditionally Democratic states have pushed a plan to institute a national popular vote at the state level. Last Friday, Colorado joined 11 states and the District of Columbia in the National Popular Vote Interstate Compact, which pledges Electoral College votes to whichever candidate wins the national popular vote. The bill, which needs states representing at least 270 Electoral College votes to sign on in order to take effect, has 181. The state legislature of New Mexico, which has five electoral votes, approved the measure and sent it to the Democratic governor’s desk earlier this month.